The Australian Genome Research Facility (AGRF) is Australia’s largest provider of genomics services. The Melbourne branch of the AGRF is located here at the institute. It provides genotyping, next-generation sequencing, microarray, DNA sequencing and bioinformatics services. Together with the University of Queensland, the institute helped found the AGRF in 1996 with the aim to better facilitate access to high cost genomic instrumentation. It remains a not-for-profit organisation, currently funded by the Australian Government’s National Research Infrastructure Strategy. AGRF’s mission remains focused on being the key enabler of genome science in Australia, performing high-throughput DNA sequencing and resequencing, SNP genotyping, gene expression and DNA extraction. 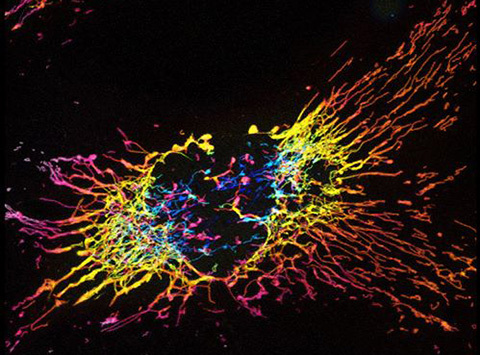 Vote for your favourite Art of Science image in our 'People's Choice' award.